When an item in Variety, hinting at the imminent cancelling of Ricky's picture, Don Juan, proves correct, Lucy, the Mertzes, and Mrs. McGillicuddy take matters into their own hands by penning five hundred fan letters to Ricky and dressing as bobby-soxer members of the Ricky Ricardo Fan Club. To assure Ricky's reinstatement, Lucy hatches another idea; she's going to hire an actor to pose as a famous film producer and have him present when M-G-M Studios chief Dore Schary arrives at the hotel to talk to Ricky. At the Beverly Palms Hotel pool, Lucy spots the perfect sap, offering him $7.50 for the acting stint. What she doesn't know is that the man is actually Dore Schary, who happens to have a good sense of humor. Schary: "I don't usually work this cheap, but things are tough what with television and stuff." Posing as George Spelvin, Schary is quickly coached by Lucy in the proper portrayal of a cinema producer; with Fred's help, Lucy outfits the exectuive in some outlandish clothing. When Ricky arrives for the meeting with his boss, he obviously recognizes Schary, and Lucy and the Mertzes are horrified. 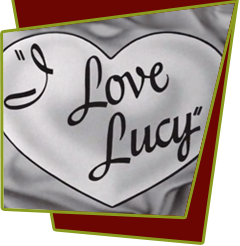 Dore never reveals Lucy's sinister shenanigans, but does inform Ricky that even through Don Juan has been canceled, M-G-M wants to pick up his option in the hopes of locating a suitable motion picture property for him. When Schary departs, Lucy reasons that the fan mail must have done the trick, whereupon Bobby the bellboy enters with a huge bundle of unstamped, unsent mail. Special Notes: M-G-M's Dore Schary was supposed to play himself in this episode but backed out at the last moment. Vivian Vance's then-husband, Phil Ober, stepped in, prompting the real Schary to comment, "He'll do a better job playing me." Bloopers: In the last scene as Dore Schary is saying goodbye, the shadow of a stagehand can been seen in the small high window. From behind the set, you can see someone carrying a long pole from one side of the set to another.